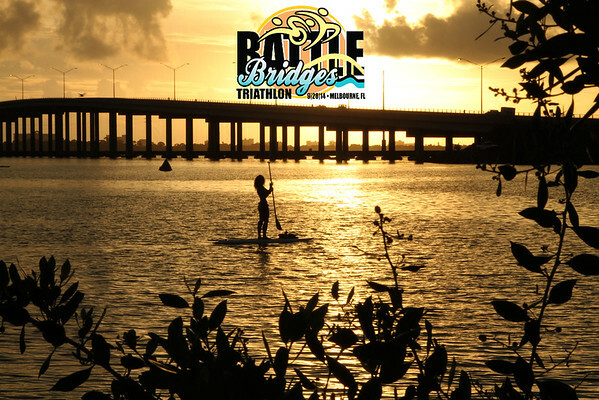 The Battle of the Bridges Triathlon was held at Pineapple Park in Melbourne Florida on September, 28, 2014. The links at the right will help you navigate through the major categories of the 2000+ photos. Since there were several wave starts and olympic and sprint distances, the photos are sorted in the order that you past the camera. Prints are offered at a deep discount and all images are free to download for posting or printing at your favorite lab. To download the photo, simply click the "Down Arrow" icon that is below and right of the photo. Note: this is not the same as right clicking the "save image" option on your browser. This is compliments of Christine Lighthill and the race committee. Thank them by telling a friend and by signing up early for next year's race.